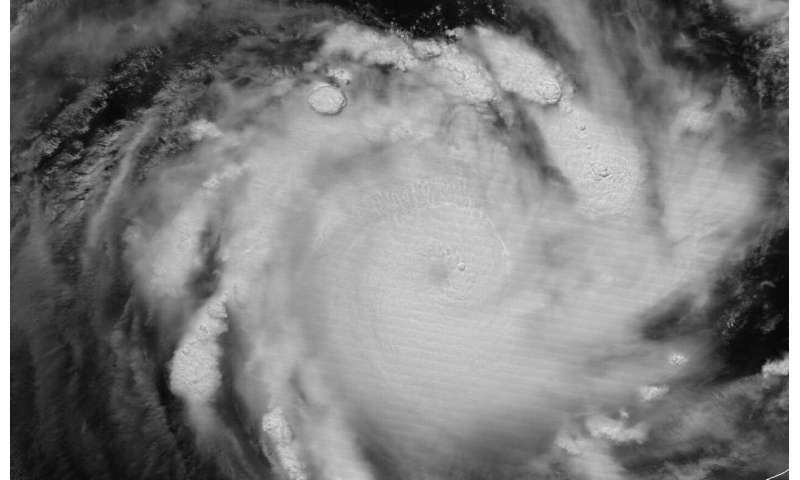 Suomi NPP passed over Savannah on March 22 and the Visible Infrared Imaging Radiometer Suite (VIIRS) instrument provided visible and infrared images of the storm. William Straka III, who created some of the images noted "As you would expect, the infrared channel on VIIRS showed large amounts of tropospheric gravity waves and overshooting [cloud] tops associated with the intense convection. In another image Veronica was illuminated by the full moon." Shortly after the Suomi NPP satellite passed over the storm, the GCOM-W1 satellite also flew over Severe Tropical Cyclone Veronica. 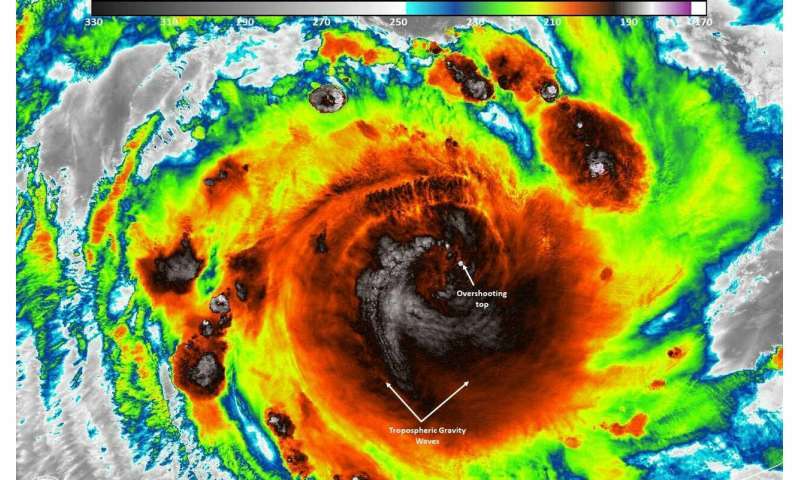 "The Advanced Microwave Scanning Radiometer or AMSR2 instrument aboard GCOM-W1 showed a completely enclosed eye as well as the convection around the circulation," Straka said. The microwave instruments provide critical information that is not seen by the infrared or visible imagery for forecasters. ABM noted "Severe Tropical Cyclone Veronica, a Category 4 system, is moving slowly southwards towards the Pilbara coast. During Saturday it is expected to take a more southeast track and reach the coast late Saturday or Sunday. A severe coastal impact is likely."